4 Tips to Keep You Motivated at Work | DLO Move Support Services Ltd. Okay, don’t roll your eyes. Staying motivated at work actually starts before you walk into the office. It’s extremely important to work out – whether that’s going for a run or meditating – it’s about finding a balance. Finishing a work out before you enter the office helps you start your day on the right foot and gives you the energy necessary to accomplish other tasks throughout the day. Grab coffee, lunch, or even work out together! We spend so many hours of our life in the workplace, why shouldn’t we use the relationships we make to stay energized? When you take the extra time to get to know your colleagues on a personal level, you might be surprised by how much they can inspire you or spark a new interest. If you always do work that you’re comfortable with that’s fine, but eventually you will start to lose your motivation. Sometimes actually pushing yourself outside of your comfort zone can be inspiring – similar to the feeling you get when you accomplish a goal. Push your professional limits, jump into a new project or attend a brainstorm meeting. Get enough sleep! It’s so important to re-energize each night, and the best way to do it is by getting enough sleep. In addition to a good sleep routine, it’s also important to take daily breaks from your work. If you’re stressed out over a project or client – just walk away. Getting up and removing yourself from your desk is the only way to re-frame your perspective, allowing you to come back to the office feeling energized and ready to take on the challenge. Do you love beer as much as we do? Vancouver Craft Beer Week will be at the PNE from May 25th – June 3rd. and beers from across the province! 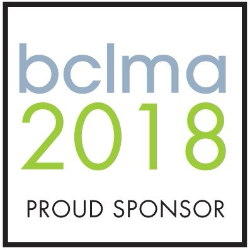 The BCLMA is a non-profit organization with more than 475 affiliates representing more than 168 member firms. Their focus is providing professional development, support and networking opportunities needed to enjoy and advance in careers in legal management. Their mentorship program provides one-on-one guidance for members who may face professional or workplace challenges, or a new opportunity for growth and development. Members can communicate with experienced and well-respected senior law-office management professionals to gather ideas and develop strategies to address their issues.